Andy Murray will not be naming his new coach on Wednesday, after it was confirmed that a message he posted on Twitter was an April Fool's joke. The British number one, who split from Ivan Lendl last month, tweeted on Tuesday that an announcement about about a replacement was imminent. However, it was later confirmed by his management that the post was a joke. In two years with Lendl, the 26-year-old won the US Open, Wimbledon and Olympic titles. 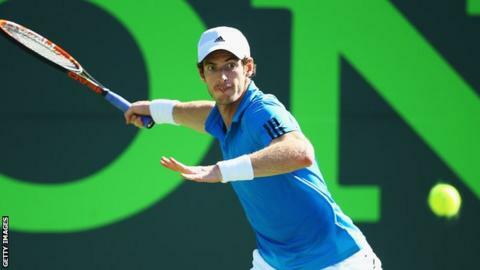 Among the names being linked with Murray are former world number one Mats Wilander, Darren Cahill, who coached Andre Agassi, and Leon Smith, Britain's Davis Cup coach. Lendl, an eight-time Grand Slam champion, was appointed Murray's coach in December 2011 with the aim of bringing the "experience and knowledge that few others have, particularly in major tournaments". Up to that point, Murray had lost his first four Grand Slam finals. In his first year with Lendl, Murray overcame Switzerland's Roger Federer in the Olympic final at London 2012 before defeating Serb Novak Djokovic to win the 2012 US Open. The following year, Murray ended a 77-year wait for a British men's singles champion at Wimbledon with another win over Djokovic. Murray said at the ATP Masters in Miami last month that he would find it "very hard" to find a coach as good as Lendl. "It's a tough one for me because he has been a big part of my life," Murray said. "You don't replace his sort of experience easily." A couple of days ago, Murray took to Twitter to ask: "If you could choose anyone to be your tennis coach, who would you want it to be?"